At Visibly Better™ Interiors you can be sure that you have a qualified team of experts dedicated to the execution of your remodeling project from start to finish, on & off site. We will do it right the first time and when we leave your property, rest assured that our work will be visible; and our work will last…. On Time. On Budget. Visibly Better.™ Visibly Better™ Interiors is the remodeling division of Visible Works Construction. Fair and Square is a remodeling company in the Milwaukee area. I am Jason Sieberg, the owner who now has over 25 years experience in the trades. I can manage and execute virtually all of your remodeling requests. We can do most anything; from new windows, skylights and doors, re-siding and insulating your home, to full kitchen, bath and basement makeovers. Being the owner as well as the carpenter, allows me to be fully involved and invested in all aspects of your project from estimates to construction clean up and removing debris. I'd like to listen to your ideas about freshening up your home. I would like to add that I am NOT a designer. I utilize a designer for cabinet work. Located in McHenry servicing Barrington and northwest suburbs for Bathroom Remodeling, Kitchen Remodeling and Tile Installation, Trim and doors, Basements , Decks Mike's Quality Carpentry has been working with the same reliable subcontractors pretty much since our inception. What this means for the customers that hire Mike's Quality Carpentry is that you will get great pricing for your Algonquin remodeling project. Mike's Quality Carpentry will give you the exterior or interior you are looking for. Economic or high end renovations, we make it our mission to give you the finished product you are looking for. We will gladly go over the design details you have in your head and work with you to draw up the plans to make them real. Don't live with the look of your Algonquin home; live through it, with a personalized design and look which speaks to you and the people who visit you. Founded in 1984, The Bath & Kitchen Works is a full service remodeling company with a showroom in Antioch, IL. We are your one stop shop for Kitchen and Bath design, quality American made products, and professional installation. For over 30 years ROSE CUSTOM CABINETS, INC has been providing custom fine cabinetry & millwork from our in house design craftsman. Customization is our expertise for all your kitchen design needs. We are your one stop shop for all your remodeling projects for the consumer & trade professional. ROSE CUSTOM DOORS - Is your complete source for RTF Thermo foil cabinet fronts We are the only Thermo Foil (RTF) manufacture in the area providing custom Thermo Foil cabinet fronts to Closet companies, Refacing companies and other Cabinet shops. ROSE CUSTOM KITCHEN & BATHS, LLC. Specializing in full service kitchen / bathroom design and remodeling from conception to completion. Encompassing design, Cabinetry, Tile, Plumbing fixtures, electrical, Countertops and so much more. We proudly represent and are authorized dealers of Ultra Craft, Dura Supreme Cabinetry, Shiloh Cabinetry. We provide innovative design that incorporates the latest fashion and function that brings value to you, as well as your home. We will work with YOUR budget to make sure you get everything you want without sacrificing a limb. We provide residential remodeling and design, as well as simple home improvements throughout your home. We cater to the Illinois counties of Lake, Cook, McHenry, DuPage, and even southeastern Wisconsin. As part of our mission, we believe your home environment is a key factor in determining the quality of your life. That's why we are dedicated to providing quality services, so that you can live a happier and more comfortable life. Family business built on quality for over 20 years specializing in custom remodeling services and featuring one stop shop for all construction needs. From concept design to interior decorating, we see your project through from start to finish with the attention to detail you deserve. We listen to your unique needs and fulfill your family's dreams for home renovation. “We are committed to building or remodeling your home to reflect who you are and be a lasting family legacy.” Bob, Ariana, Kami, and Kailey Over the years Bob Koehler has worked under various tradesman learning nearly everything from foundation to finish. This depth of experience and knowledge gives him the ability to give you step by step personalized assistance in building your dream home. You have worked hard for your money and Bob understands this. That is why, along with being a perfectionist, he will never cut corners on quality. He has an eye for detail and is committed to excellence and customer satisfaction. He also understands that time is money and with his team of quality experienced craftsmen you can expect him to start and not leave until your home is complete. 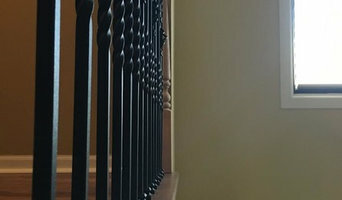 Garris Construction, Inc. is a family owned general contractor and remodeler that provides exceptional services from painting, to building an addition, to even professional property maintenance. We take large and small jobs of all sorts. We approach every project with a fresh perspective to create innovative solutions that meet your needs. Enjoy the security of knowing you are working with a company that is fully licensed and insured to consistently deliver the high-quality craftmanship and client service you expect and deserve. We're dedicated to ensuring we not only meet, but exceed expectations and that our clients' vision comes to life. So dream big! To be exceptional, a general contractor and remodeler must integrate superior craftsmanship, experience, and dedication within the company’s culture. We believe that teamwork, integrity, honesty, and attention to detail each step of the way is key to delivering outstanding customer satisfaction. We ensure communication is clear and consistent and that everything happens timely, giving you the results you expect within budget. At Garris Construction, Inc. your goals are our top priority. Since 1999, Garris Construction, Inc. has been delivering exceptional workmanship and building relationships in Lake County, Illinois. 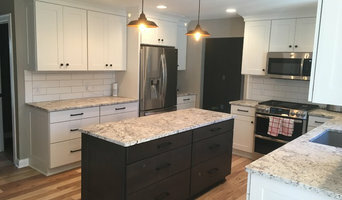 Personal tile subcontractor specializing in offering quality work in kitchen and bath remodeling while staying competitively priced to offer homeowners the best home improvement experience as possible. We provide quality workmanship with tile and stone installation from backslashes to a full blown remodels.